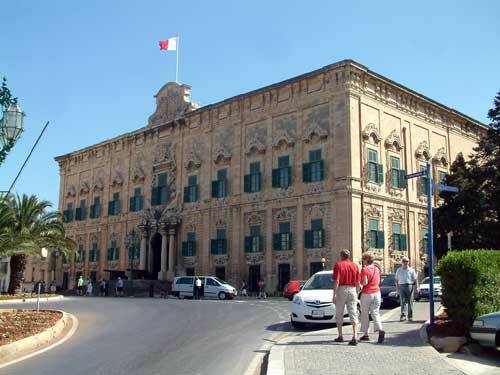 The capital city of Malta, Valletta, has an old fortified section with a historic harbour. It's the smallest capital city in Europe which makes it a great place for a day trip because you can easily get about on foot or take one of the horse-drawn carts for a quick overview of the highlights. It is also a designated UNESCO World Heritage Site. Valletta is built on a grid-iron pattern where the roads are in the main straight and dissect each other at right angles. There are numerous beautiful buildings, good shopping, fine old churches, and photogenic old narrow streets of flats where washing lines are strung from one side of the road to the other. Plus the entire city oozes history and charm. Valletta is one of the stops for ocean liners on tours of the Meditteranean. It's an excellent stop off point on the tour not only because of the deep harbour but also because of the condensed nature of Valletta - perfect for a day trip sightseeing. ©selfcateringholidaysmalta.eu 2019 - All rights reserved. selfcateringholidaysmalta.eu is trading names of XE Website Solutions Ltd.